Party General Secretary Nguyen Phu Trong delivered a speech titled US-Viet Nam relations in a changing world at the Washington D.C.-based Centre for Strategic and International Studies (CSIS) yesterday. Trong underlined Viet Nam's consistent aspirations for friendship and sound co-operation with the US, noting that bilateral relations had developed vigorously in the last 20 years. This started with the establishment of diplomatic ties in 1995, the signing of a bilateral trade agreement in 2000 and the inauguration of the comprehensive partnership in 2013. Trong said both nations had made positive and substantive progress in co-operation on the basis of respecting international law, respect for each other's independence, sovereignty, territorial integrity and political regimes. He said this contributed to peace, stability, co-operation and development in the Asia-Pacific region and the world. He added that the outcomes were the result of efforts by both countries' leaders and peoples in the spirit of putting the past behind, overcoming differences, promoting similarities and looking towards the future. 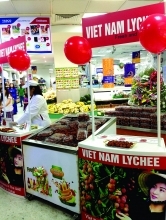 The General Secretary said Viet Nam was independent, self-reliant, peaceful and co-operative. He said Viet Nam had set up diplomatic relations with more than 180 countries and established many comprehensive and strategic partnerships. He said the two sides should intensify their partnership and elevate their relationship to a new level. The Party chief described economic-trade-investment collaboration as a driving force for bilateral ties, highlighting the potential for affiliation in science and technology, education and training, healthcare and the environment. He said defence-security co-operation could increase mutual trust and the value of strategic links, pointing to humanitarian collaboration and people-to-people exchanges as possible focus points. Trong said Viet Nam attached "the utmost importance" to human rights issues, and was working to build a better society for all. He also expressed his country's willingness to co-ordinate with the US on global matters of shared concern, including anti-terrorism, cyber security, epidemics and climate change. After the speech, the Party leader candidly exchanged opinions with US researchers, experts and diplomats. He said that although investment-trade relations had grown in past years, they had not met expectations. He hoped for stronger co-operation through endeavour by both nations and the signing of the Trans-Pacific Partnership agreement. The leader noted Viet Nam and the US signed a defence-security agreement in 2011 and asked for it to continue. He said Viet Nam considered it a strategic and fundamental goal to ensure the legitimate rights and interests of its citizens and the entire community. Trong said people arrested for violating laws were handled in line with legal regulations, completely independent of their faith or religious reasons. Viet Nam highly values the US Congress's role in fostering relations between the two countries, said Trong. Trong met with a US Democrat and Republican delegation led by US Democratic Senator Patrick Leahy in Washington on Wednesday. During the meeting, US lawmakers expressed their pleasure at the robust development between the two legislative bodies in recent years. 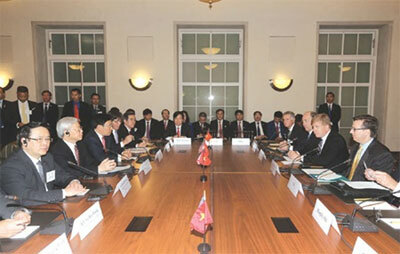 They also expressed concern over the recent developments in the East Sea. For his part, the Party leader said Viet Nam appreciated the US's constructive, responsible contributions to the East Sea issue. Viet Nam had pursued a foreign policy of independence, self-reliance, peace, co-operation and being a responsible member of the UN. Viet Nam wanted to settle all disputes in the East Sea through peaceful dialogues and respect for international law, especially the 1982 Convention on Law of the Sea and the Declaration on the Conduct of Parties, Trong said./.